Raise your hand if you made at least one resolution this new year. I'm willing to bet that getting organized is on your list of things to do in 2019. From cleaning out your closet to tidying up your garage to finally get rid of the gadgets your new gadgets replaced, everyone’s into getting organized for good. That tidying up usually results in items that still have some life left in them. However, once you’ve decided on what to donate, what do you do with all of those things? Luckily, there’s a charity for that! Actually several charities are happy to take your “trash” and turn them into someone else’s treasure or monetary donations for great causes. And on top of that, these 11 nonprofits will even come right to your home to retrieve the items. Just box or bag everything up. They’ll do the rest. Below are the charities that make cleaning up, and doing good, easy. If you’re doing a major closet or home clean-out, consider donating to the Lupus Foundation of America. The organization accepts pretty much everything, from clothes to electronics to dry goods and even unopened makeup. Just enter your zip code to see if they offer pickups in your area. Then you can schedule one and just leave your bags or boxes labeled on your porch or doorstep for them to pick up. Another organization that will pick up almost any donation in good condition is Vietnam Veterans of America. Servicing more than a dozen states, the VVA allows you to schedule a pickup in as little as 24 hours. This is a great option if you’re moving quickly or want to clear your space ASAP. Once donated, your items are sold and the proceeds benefit local and national programs for the Vietnam Veterans of America. Goodwill makes it so easy to donate large items, and the money they earn by reselling your donations helps support their diverse staff. 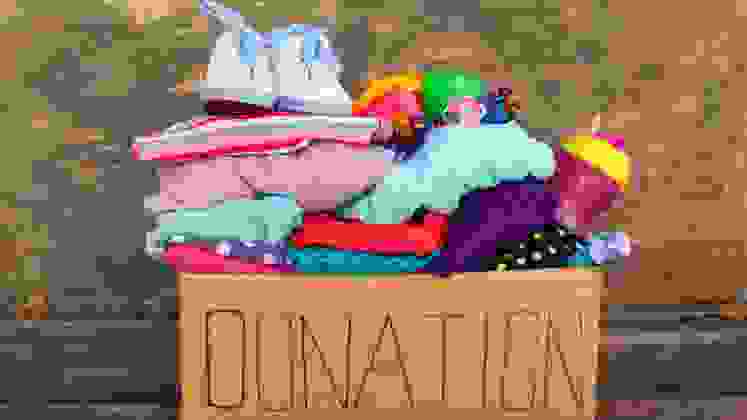 With more than 3,000 locations across the country, there’s probably a Goodwill near you, and you’ve probably donated a few bags of clothes or combed through the racks for those unique secondhand finds. But did you know they also make house calls? Contact a Goodwill near you to see if you can schedule a pickup for furniture or items that are hard to transport. Each Goodwill location operates independently so donation pickups may vary. What we really love about donating to Goodwill is that you're helping them continue to provide employment opportunities to differently abled people. If you're looking to unload a bunch of old furniture, you should check out Housing Works. The New York City-based organization provides resources for those living with HIV/AIDS, and they'll also come and get your donations. Before scheduling a pickup day, you’ll need to submit photographs of the items, which must be structurally sound and free of pet hair and stains. They will also take electronics, but they must be less than two years old. Have excess material from that home improvement project? Habitat for Humanity has helped more than 22 million people with home construction, neighborhood revitalization, and disaster relief. But even if you can’t roll up your sleeves for a family in need, there are still other ways to help support this organization. Habitat ReStores are local, independently owned shops that sell furniture, appliances and household goods at a fraction of the original cost. And many gladly pick up large donations, including building materials. So if you have excess material from a remodel or DIY that's ben collecting dust in the garage, now you know what to do with it. For California residents looking to unload unwanted items that are still in great condition, Hope Services collects clothing, household products, and small appliances. They have a handy “acceptable/unacceptable” list to show you exactly what they’re seeking at the moment. They even accept vehicles (running or not!). According to human-I-T, 150,000 computers are disposed of each day in the United States. So the California-based nonprofit decided to do something about all that waste. They provide pickup or free shipping arrangements in all 50 states for qualified electronics. And then those same devices are provided to low-income individuals. Instead of letting your old cell phones collect dust, donate them to Secure the Call. The charity provides emergency-only phones that can dial 911 to domestic violence centers, senior centers, and police departments. The organization asks that you pay for your own shipping (which should be less than $10) when donating, but if you have several phones you want to send, you can select a prepaid shipping label and the U.S. Post Office will retrieve the package. A free concierge clean-out session? Like many of the above organizations, GreenDrop accepts clothing and household goods, but they take it one step further with their Home Clean-Out service. Specifically suited for large-volume projects (home downsizing, prepping for a move, remodeling, death in the family, etc. ), they will assign a concierge who comes to your home and advises you on what items can be donated. Then a driver packs up the goods and takes them away. Hand over the car, title and, keys to the charity of your choice with Vehicles for Charity. Santa may have blessed you with new wheels, or maybe you have a car you barely drive that’s taking up space in the garage. Whatever the scenario, Vehicles for Charity makes it easy to donate your old vehicle. 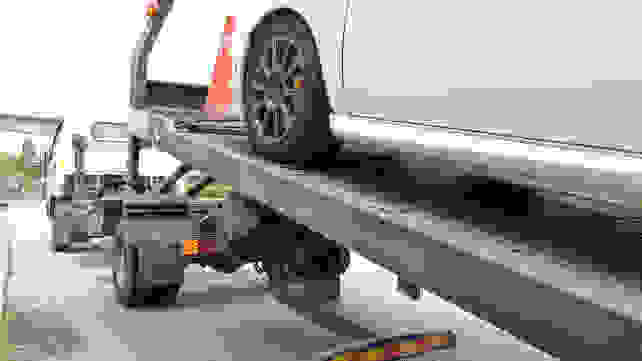 After filling out your car and title info, a towing company will retrieve the vehicle in two to four days. It is then auctioned off and all net proceeds are put toward nonprofits, with the majority of the funds going to the charity of the donors choice. Donate locally with the help of Donation Town. Finally, sometimes you have a bunch of stuff and you’re not sure where you want to donate or what your options might be. But Donation Town’s nationwide directory solves that. Simply enter your zip code and a list of charities that retrieve donations in your area will pop up. It also includes a note on what items the charities are currently accepting.